At the event I took the opportunity to ask Rabbi Boteach a question having to do with historical context. I challenged him over his claim that Christians seeing the Jewish Jesus would lead to a more human understanding of Jesus, which in turn would lead to a more tolerant Christianity. My problem with such a claim is that we have ample historical precedent from the history of Jewish-Christian relations that an emphasis on the humanity of Jesus does not necessarily lead to greater tolerance of Jews. On the contrary, it can lead to anti-Semitism by focusing attention on the cause of Jesus’ suffering. This was the case during the high Middle-Ages. Christians “discovered” the humanity of Jesus. This led to a plethora of artwork showing Mary with baby Jesus actually drawn with baby features and gave us the Christmas creche we have today. This also led to an emphasis on Jesus’ physical suffering on the cross. The divine Jesus could never possibly feel pain; only the human Jesus could suffer. Rabbi Boteach response was that the Jews were not responsible for the death of Jesus, the Roman were. This is in fact a major point of his book. While this answers the question whether Christian readers will take Rabbi Boteach’s arguments to anti-Semitic conclusions, it does not answer the question I was asking of why we should be willing to draw a straight line between a human Jesus and a tolerant Christianity when historically this has not necessarily been the case. This isn’t a review of Boteach’s book Kosher Jesus from a Christian point of view, but reading it did make me start to think about the “Christian point of view” and whether or not I actually have one. I don’t. I realized in reading this blog post that I haven’t the faintest idea how “traditional Christians” see the world, at least from an actual “lived” experience, even though I call myself a Christian. I call myself a “Christian” to try and avoid any confusion about who I am. I am not a Jew so calling me a “Messianic Jew” is completely inappropriate. Calling myself a Christian announces that I am a Gentile who believes in Jesus Christ, just as millions and millions of Gentiles have been Christian across the vast expanse of history. Since I”m also vehemently non-supersessionist, I am also at odds with some and perhaps many other Christians, which is one of the reasons why I don’t go to church. Even though some Jewish people consider me “Judaically-oriented” or having a heart and mind for Judaism, it has occurred to me lately (and again, referring back to the Izgad review of Kosher Jesus), that I might not fit all that well into a Jewish setting, either. It’s one thing to read and study Jewish commentary and studious texts and another thing entirely to be part of a community. It occurs to me that when my wife says the Rabbis at the local Reform and Chabad synagogues “tolerate” the presence of Christians in their midst (as long as they don’t try and proselytize the Jews at shul), that “tolerate” may be in the sense of tolerating a splinter under your fingernail or the discomfort caused by a repetative motion injury. You can handle it being around, but it’s not exactly enjoyable…and it would be a relief when the thing you are “tolerating” is finally gone. That’s my projection, of course, but I think it’s reasonable. In reading Jacob Fronczak’s blog post Why I Go to Church, part of what he is saying is that he must “tolerate” some aspects of church communal life. It’s not perfect and it’s not going to be. That would be true for me as well if I were to attend a church (though I suppose they’d have to learn to “tolerate” me if I ever chose to actually open my mouth and say what I was thinking). To emphasize my “differentness” from how “regular” Christians think, I have to say I’ve received my first criticism on my recent article Origins of Supersessionism in the Church. My critic, a Christian, and a person I have no reason to believe is anything but honest, sincere, and well-grounded in the faith, states that many of the historical wounds between Messianic Judaism and the church are well on their way to healing at this point in our relationship, but the tone and attitude of my article, has resulted in ripping open some of the scars and pouring salt into the reopened injuries. I don’t seem to be doing “Christian” very well. So if I’m a Christian, it’s because the label is the closest and most accurate approximation that represents my faith, but I’m a Christian who would not easily fit into either a church or synagogue setting. I’m nearly nine months into my current “experiment,” the primary goal of which was to join with my wife and, as a married couple, worship together within a Jewish context. It hasn’t worked out well thus far. With just a little more than three months left before I decide to continue toward my goal or to pull the plug for good on my hopes, it has become increasingly unlikely that I will achieve anything I started out aiming for. I don’t actually have to confront the “where do I go from here” question until the end of May or perhaps early June (and keep in mind these time frames are completely arbitrary and self-assigned), but it’s not too early to start thinking about the question. If I had to frame an answer today, I would have to say that there are no options for community that meet my requirements. Facing that would mean facing the consequence of having no tangible faith community for the long term and possibly for the rest of my life. I don’t fit in. Even if I did find a community where I personally fit in, chances are very high that my wife wouldn’t, and one of the primary requirements for achieving my goal is to worship with my wife. If someone were to offer me a practical option for community that fit me personally “hand in glove,” it would still be lacking if it didn’t fit my spouse as well. So, who am I? I’m a Christian who doesn’t think very much like a Christian but to be honest, I don’t think very much like a Jew either. I’m the fish in the game Marco Polo who is always “out of water”. If I can’t say that I’m a “freak of nature” I have to say that I’m probably a “freak of faith.” I’m not trying to sound pathetic, but this blog is centered on my “experiment” so it represents, among other things, a chronicle of my progress or lack thereof. Oh, interesting thing about the reviews of the Boteach book. I’ve found numerous Jewish and Messianic Jewish book reviews, but I have yet to find even one single review written by a Christian. If Rabbi Boteach had hoped to reach not only the Jewish community, but the church with his book, he doesn’t seem to have achieved his goal either, at least up until now. As believers what is our main priotity? 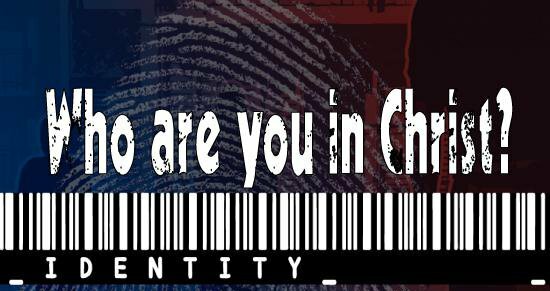 To have our identity in Yeshua or to make sure in what kind of community we worship? In my opinion, both. I don’t think we were supposed to worship in isolation, otherwise, why did Paul establish “churches” and not just convert individuals? Also, why did Paul say, “Therefore encourage one another and build one another up, just as you are doing” (1 Thessalonians 5:11)? Of course, each community Additionally, both Philippians 2:2 and 1 Peter 3:8 talk about having “like-minded” communities, so it seems as if we are not only supposed to be together with other believers but those believers should have the same basic conceptualization of each other, Messiah, and God. 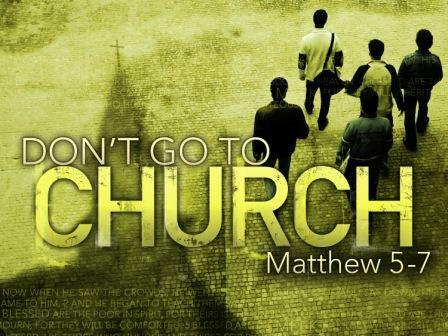 Otherwise, you end up with a whole bunch of disciples of Jesus pretty much just doing their own thing. Yes, I’m quite aware that applies very well to me at the moment. Hope God will bless you to find what you are looking for. Me? I already found Him. Knowing Him makes me feel comfortable in any community. Him, I haven’t lost, Dan. However figuring out where I belong as an individual and a married person is another matter. We are having some of the same religious angst here as well. We know who we are and in whom we have placed our trust, but that does not automatically provide us a place to fellowship. And after 42 years of trusting Yeshua for this life and the next, I don’t know that I’m all that anxious to “fit in” somewhere. We have friends. We share our faith with others. But it has proven to be most difficult to locate a group of believers that aren’t in the process of trying to “build” something for God with their name on the effort. Run by their rules. We have at times called ourselves: Ephraimites, Israelites, Messianic believers, Messianic Israelites, Christians, Hebraic Christians, Hebraic believers, …etc. Right now we are just believers in Messiah Yeshua. Our Hebraic heritage, at least some of it, has been woven into the fabric of our relationship with Yeshua. I make no apologies for it, nor will seek to defend it online anymore. We are happy with our new understanding of scripture and are looking forward to more of the same. There is a balance to be found. Like you, we are in the process of finding it. Thanks for the support, Russ. The additional issue with me though is that, unlike how I understand your situation, I’m the only one in my nuclear family who believes as I do. My wife and daughter are definitely Jewish and definitely not believers in Jesus. My two sons are (more or less) religiously “ambiguous” at the moment. Ambiguous would be a good word to describe our 4 children’s attitude toward religion as well. I have come to firmly believe that unless Yeshua directly intersects a person’s life, they will carry on without Him. For a person to reach out to Him in faith, and for Him to respond, requires that they be led to Him by the Father. You know the verses. We can only pray that He will bring them to the resurrected Messiah and that they will receive Him so that He can receive them. We can only pray that He will bring them to the resurrected Messiah and that they will receive Him so that He can receive them.